1. Kauai's North Shore - with one of the most dramatic coastlines in the world, Kauai is, in our opinion, Hawaii's most romantic place to holiday. The resorts around Princeville and Hanalei Bay are laid back, there's not much traffic on the roads, and the beaches, coastline and scenery are 100% f-a-n-t-a-s-t-i-c! 2. Lahaina, Maui - the western side of Maui has a great mix of excellent beaches, romantic restaurants (including the Old Lahaina Luau), activities on & off the water for couples, and quiet places to enjoy the great sunsets. 3. Big Island of Hawaii - some of the darkest night skies in the world provide the perfect setting for a honeymoon or romantic trip to the biggest of Hawaii's islands. Natural attractions like Hawaii Volcanoes National Park and Mauna Kea make the Big Island an ideal vacation or honeymoon choice. When is the Best Time to Vacation or Honeymoon in Hawaii? Just about anytime! December to March will be a little more crowded, pricier and hotter. The weather is fine year-round, but spring and fall give you the best balance of everything. As usual, school holiday periods like Christmas & Easter mean more crowds and kids around the pool. Couple Walking along Romantic Hapuna Beach, one of the Big Island of Hawaii's Best Beaches. 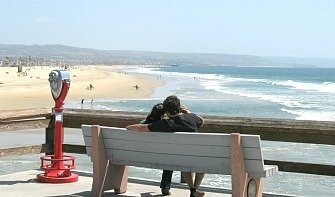 Romantic Waikiki Vacation Spots - holidays for two in touristy Waikiki can actually have a romantic side to them! Here's our complete guide to making this bustling slice of Honolulu the best possible getaway or honeymoon possible. 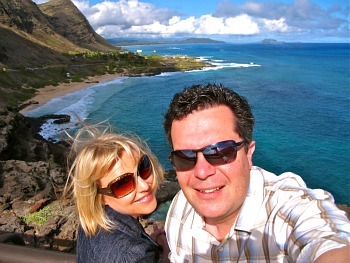 Romantic Kauai Vacation Tips - see the Pacific's "Grand Canyon", and the dramatic North Shore. After lunch, kick back and share the beach with a few roosters. 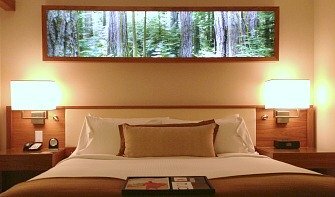 Romantic Hawaii Hotel Hot Tub Suites - looking to book a hot tub suite in Hawaii? 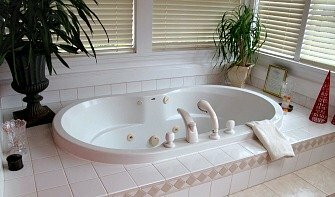 Here's our reviews of honeymoon suites with whirlpool tubs in Waikiki & Oahu, Maui, the Big Island & more. 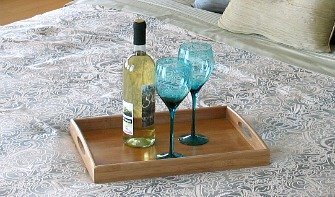 Romantic Hotels in Kauai - resorts for romance on both the North and South coasts. Perfect Spots to Propose in Hawaii - see our listing of the best places to pop the question on Oahu, the Big Island, Kauai and Maui. 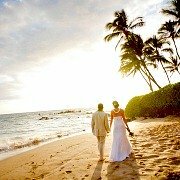 Hawaii Elopements - affordable and very romantic elope weddings in paradise. Pick from tropical garden, beach and waterfall wedding locations. Aloha Hawaiian Vacations All-Inclusive Packages - a wide selection of vacations, from short 4 day getaways right up to an 11 day all-inclusive luxury package. 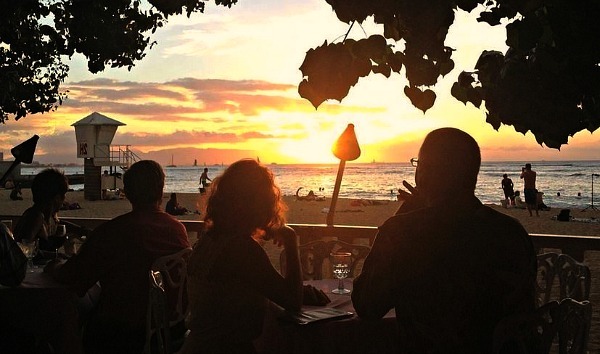 Choose from romantic destinations and resorts in Waikiki, Maui, the Big Island and Kauai. They feature wedding and honeymoon packages as well. Royal Lahaina Resort, Maui - going all-inclusive on the Valley Isle is easy at this super-romantic resort in Lahaina. The Paradise Plus Package is priced at just $99 per person, per night, and it includes full breakfast, lunch and dinner daily at the resort, as well as a beverage credit of $40 each day for use at their restaurant and beach bar, and self-parking at the resort for the length of your stay. Big Savings: Up to 50% on Hawaiian Romantic Resorts and Beachfront Hotels - check out the lowest prices all sorts of hotels and resorts on Oahu, Maui and Kauai, including the Sheraton Maui Resort & Spa, Trump International Waikiki and the Hilton Hawaiian Village. Save up to $500 on Romantic Hawaii Vacation Packages, from $754 pp! - packages with air & 3, 5 or 7 nights in gorgeous resorts popular with honeymooners like Aston Maui Kaanapali Villas, Grand Hyatt Kauai and the Coconut Waikiki Hotel. Hawaii Cruise Deals - 7, 11 and 15 day cruise itineraries with stops at the most romantic ports in the Hawaiian Islands. Cruising is a great way to sample several islands on one trip, and can help you decide on which one to spend the most time on for your next trip. 1. Tunnels Beach, Kauai - as Hwy 560 dead ends on the North Shore, you're left with a beach framed by a thundering turquoise surf, mountains covered in a lush rain forest, palm trees almost dipping right into the Pacific, and jaw-dropping sunsets. 2. Makapu'u Beach, Oahu - those who think Oahu is Waikiki only miss out on some of the island's most beautifully romantic spots by the waves, including this secluded long strip of fine sand next to towering Makapu'u Point. 3. Ka'anapali Beach, Maui - gorgeous 3 miles of golden sand bordered by the Pacific Ocean on the west, and resorts, oceanfront dining and the enticing Ka'anapali Beach Walk to the east. 4. Hapuna Beach, Big Island - this huge white-sand Kohala Coast beach is one of the best places for couples to swim & have fun in the water on the Big Island. 5. Papohaku Beach, Molokai - not a great swimming beach, but a fine spot for a romantic picnic. And being on the west side Molokai, perfect for sunsets.